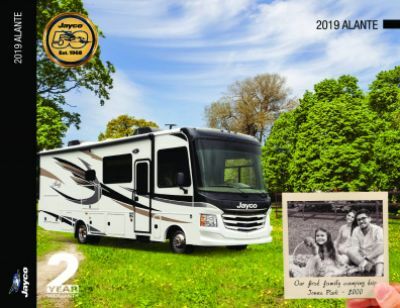 Get the best out of your camping trips with the 2019 Jayco Alante 29F! At All Seasons RV, you can obtain fast and easy financing options on all RV models. That's what makes us one of the top RV dealerships in Michigan! Stop by 4701 Airline Rd Muskegon Michigan 49444 to step into this Gas Class A Motorhome, or call us at 231-739-5269 to get more information today! A 23' 0" awning is located along the side of this Gas Class A Motorhome. This rig has a GVWR of 18000 lbs, and a hitch weight of 5000 lbs. With the 30000 BTU furnace and the 11000 BTU a/c, you can control the temperature of the living area no matter what the weather is outside! There are 1 slides, and the RV is 32' 3" long, 8' 5" wide, and 12' 5" high. 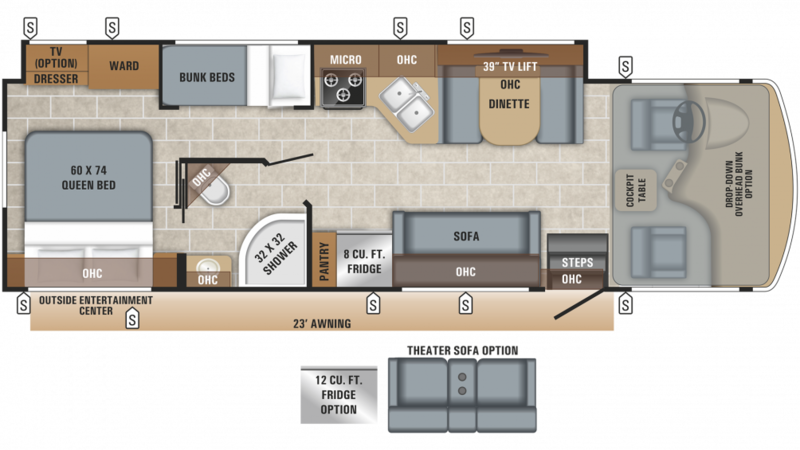 This RV has sleeping space for up to 8 people and the main attraction is the comfy Queen bed in the master bedroom! So settle in and get ready for a great night's slumber! When you're on the road, finding hearty, healthy, and delicious meals can be difficult. Not in this RV! It has a kitchen full of modern cooking appliances, including the 3 burner range cooktop the 8.00 cu. ft. refrigerator, and more! Before you leave home, fill up the 72 gallon freshwater tank so that you'll have plenty of clean water for washing, drinking, cooking, and showering! Enjoy a Foot Flush toilet and a hot shower without having to make a long trip to the communal bathroom. This RV's 56 lbs. of LP tank capacity help heat the water, and used water is either stored in the 40 gallon gray water tank or the 49 gallon black water tank. The extra snug Bunkbeds are so comfy that your kids will drift off to dreamland in no time at all!